Need some assitance from people that have experience with qualification for Lead-Free SMT process. We are in a phase to qualify Lead-Free process to one of our new product. The BOM - build of material is complete but we missing some passive components that is not yet been lead-free and the manufacture can not give us any date where the lead-free component are availible. 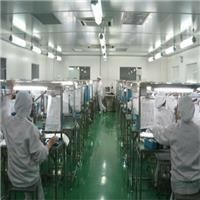 We got a discussion with our EMS supplier but they are affraid to qualify this mix component process due to lead contermination on the Lead-free PCB. Do anybody have been through this or have reference to reports where similar project have been qualified. We are going to review all the passive leaded component specification to make sure they can handle the temperature used in Lead-Free process.